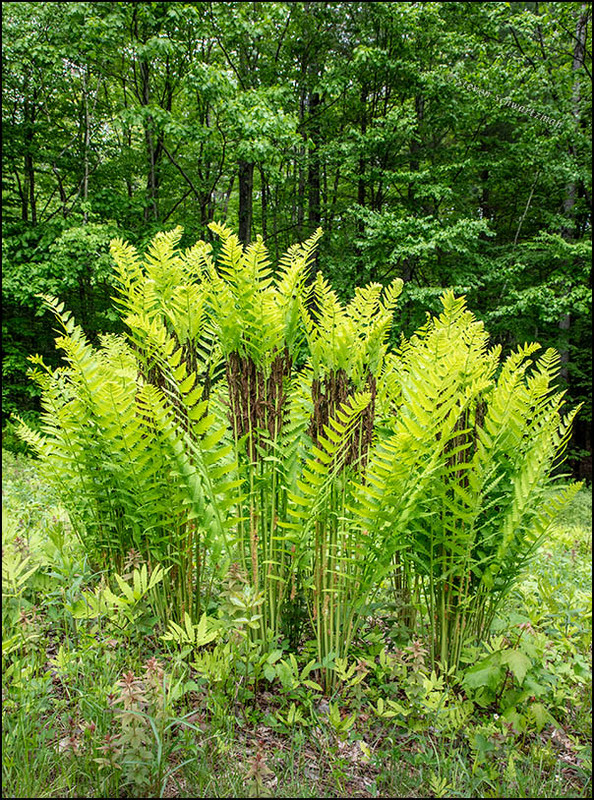 You’ve already seen some close views of ferns in eastern Massachusetts. 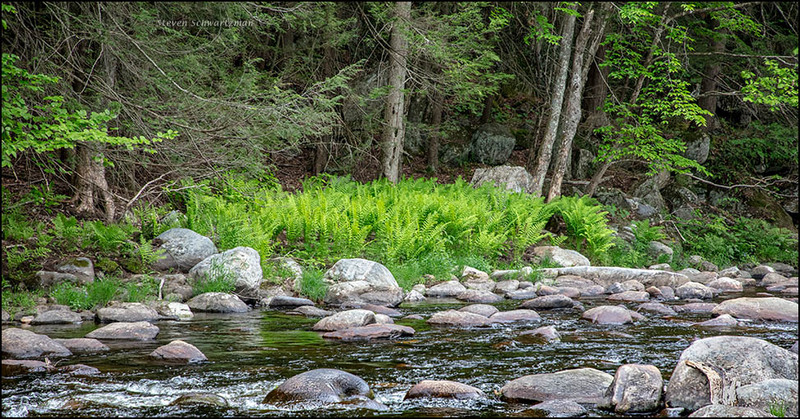 Now here are a couple of pictures showing ferns in the landscape. The scene above, from May 26th, is along the west branch of the Farmington River in the Berkshires. I took the picture below two days later in a different place on my way back to the New York City area. 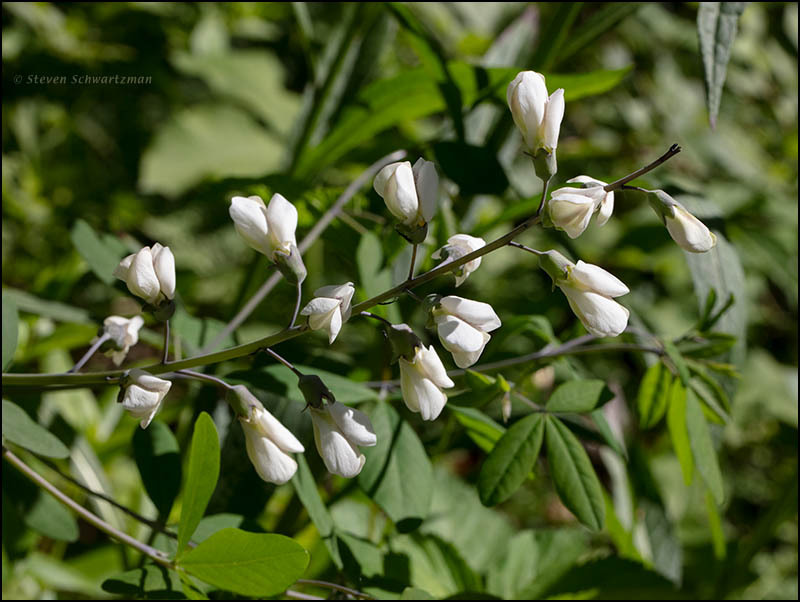 From Garden in the Woods in Framingham, Massachusetts, on June 12th, here’s white false indigo, Baptisia alba, seen in a reference photo (above) and in a more aesthetically satisfying portrait (below). 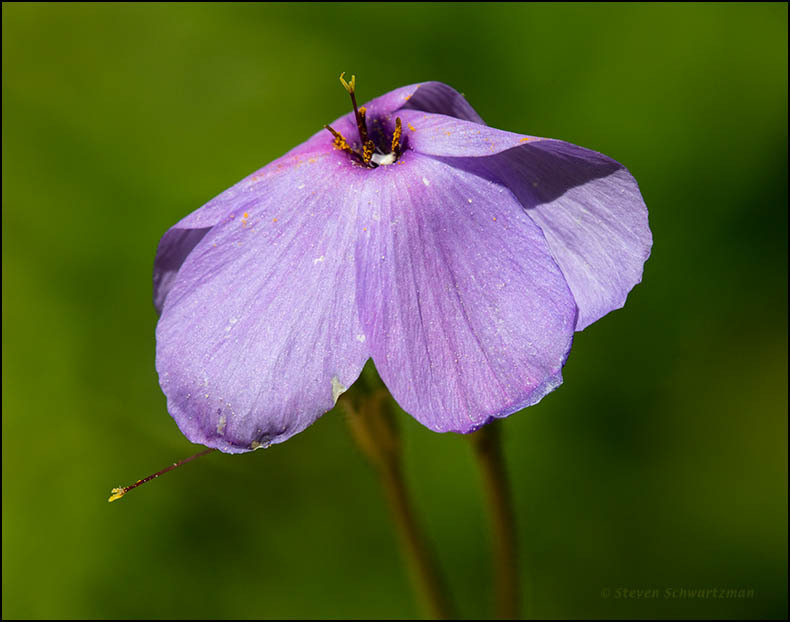 Thanks to horiculturist Anna Fialkoff for identifying many of the plants I photographed there on June 12th. Turns out I’d taken pictures of this species two years earlier in Illinois. 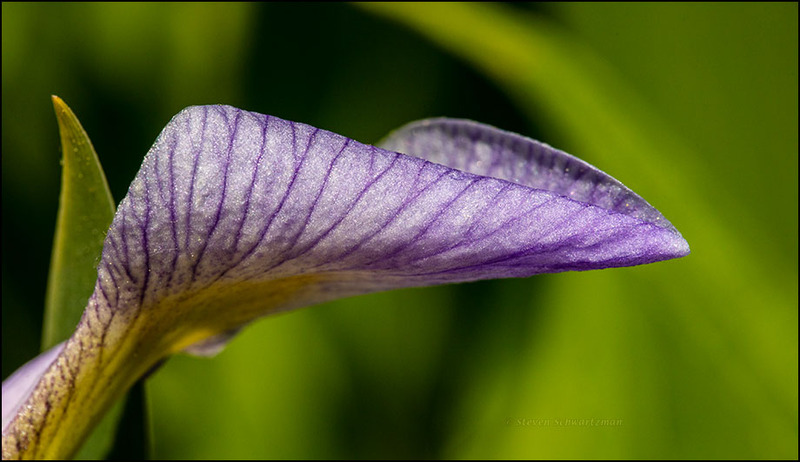 Last year I portrayed a more-colorful species of Baptisia in Kansas. 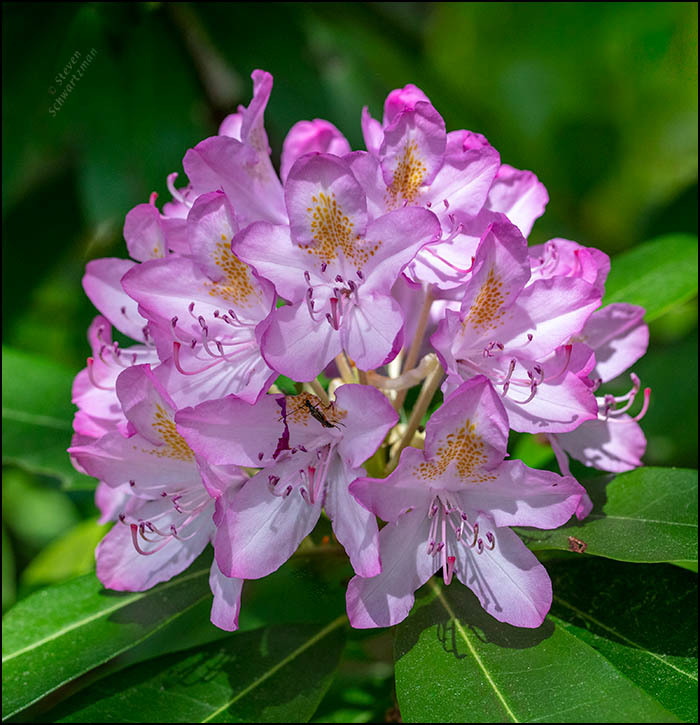 At Garden in the Woods in Framingham, Massachusetts, on June 12th, I saw budding and flowering specimens of the shrub known scientifically as Rhododendron minus and in common English as small rhododendron. 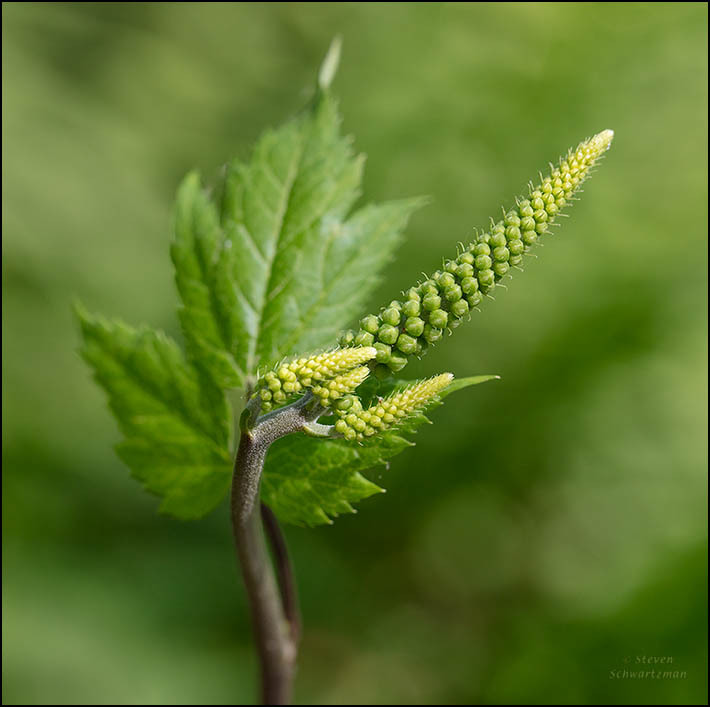 All parts of the plant are poisonous, so if you encounter it in person, look but don’t taste. 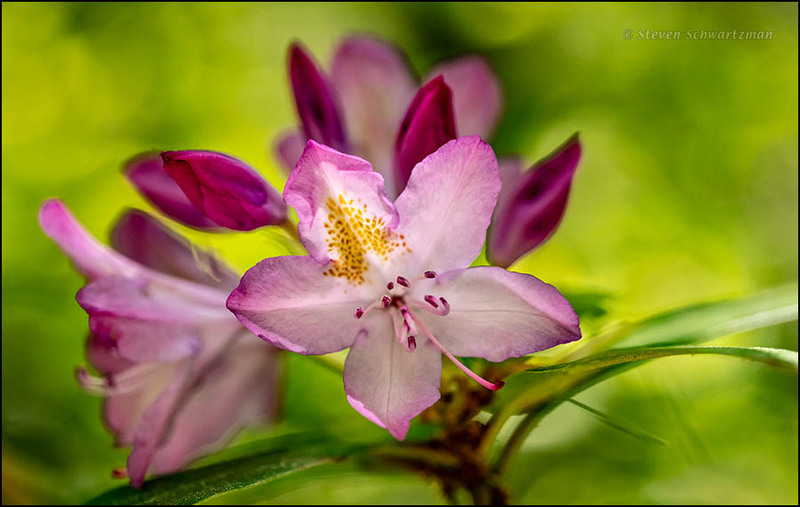 Over here we’ve got Texas mountain laurel. 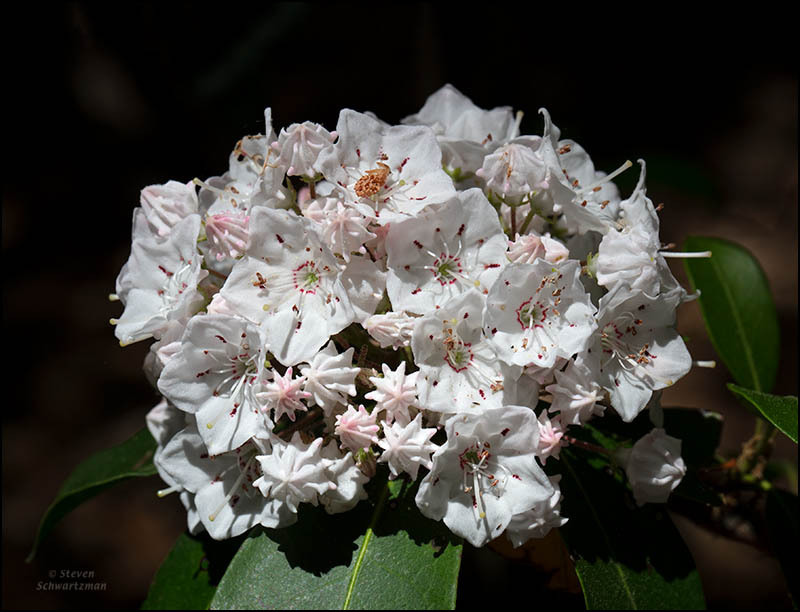 At the Garden in the Woods in Framingham, Massachusetts, on June 12th I finally got to see the mountain laurel, Kalmia latifolia, I’d heard about for years. 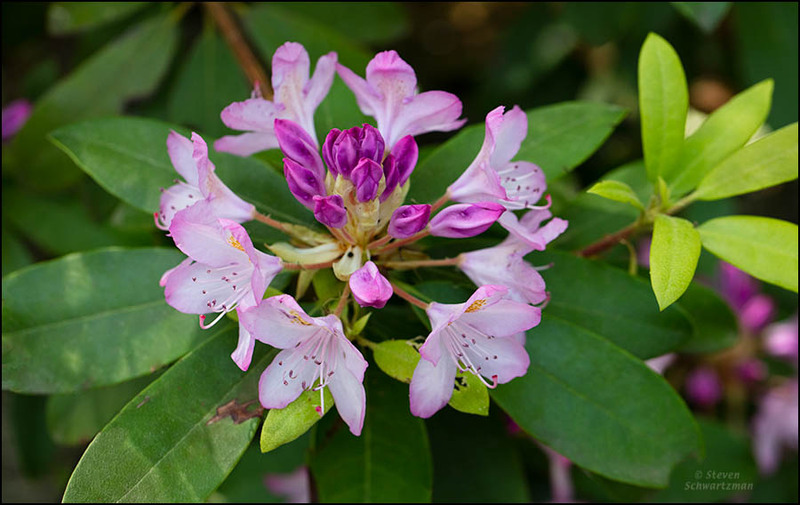 Names to the contrary, neither of the mountain laurels is in the laurel family: the Texas one is a legume, while Kalmia belongs to the Ericaceae, or heather family. 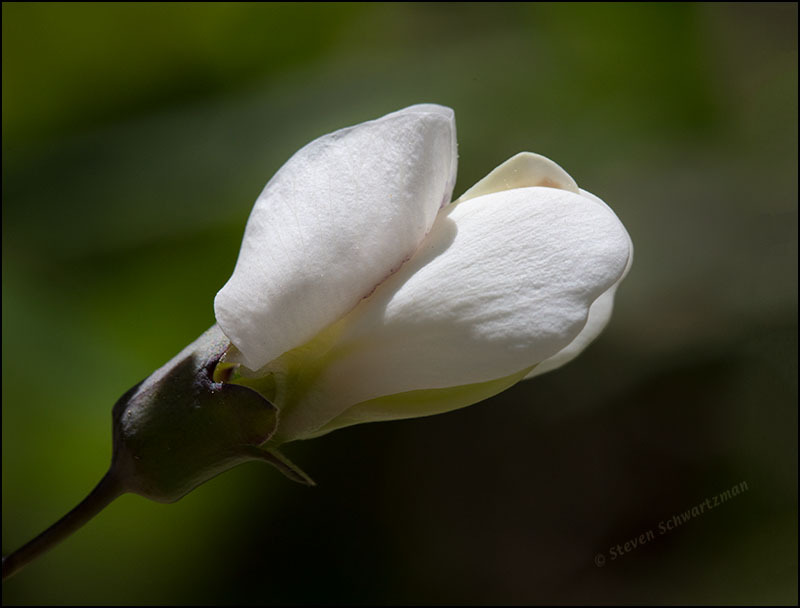 This post’s title notwithstanding, today’s photograph is not a composite of several images. 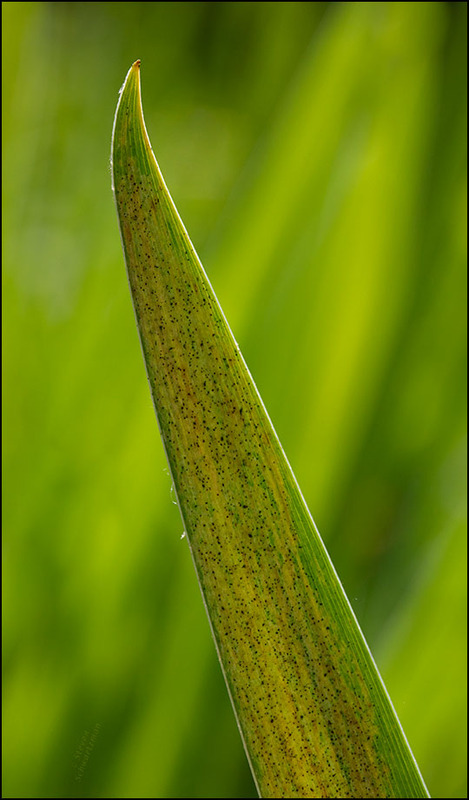 No, “composite” is a traditional botanical name for any member of the sunflower family. Of which composite these are the remains remains unclear. 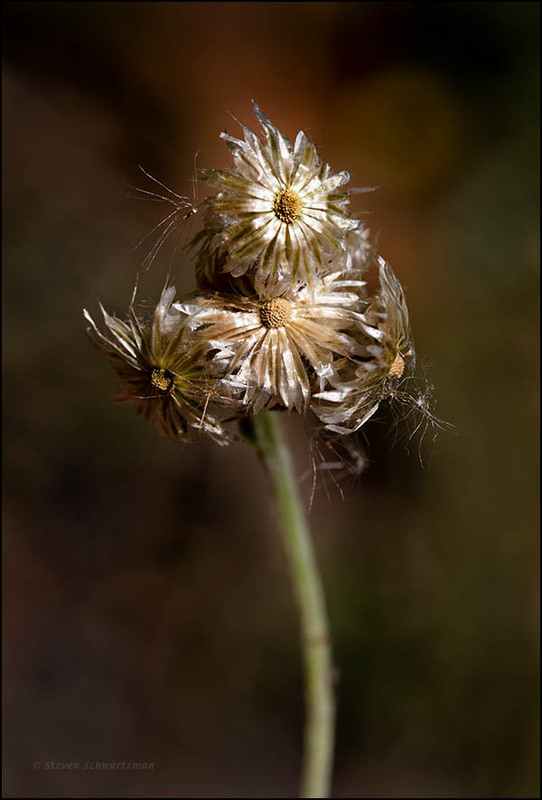 Horticulturist Anna Fialvoff said that she thought it might be running groundsel, Packera obovata [which amazingly also grows in Austin], but that she would expect more fluff on the spent seed head. 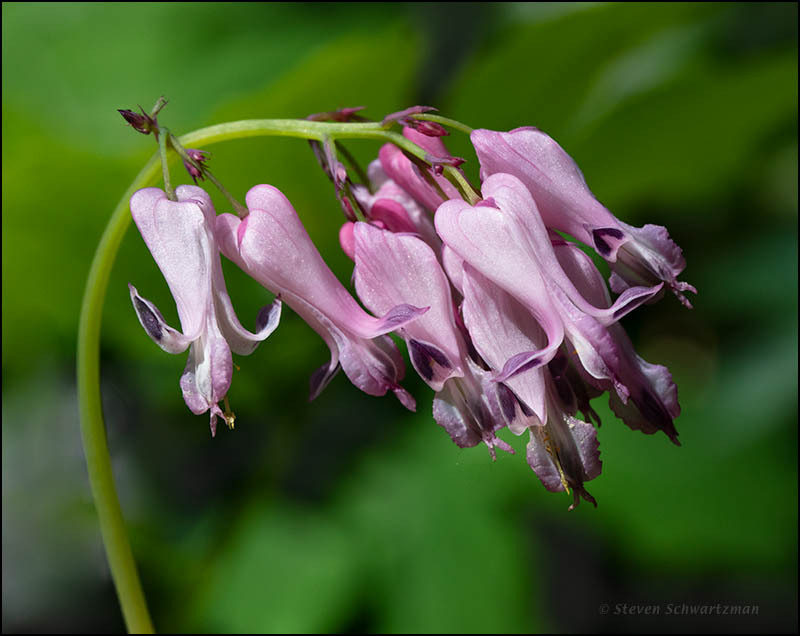 I made this portrait, which strikes me as Rembrandtian in its tonality, at Garden in the Woods in Framingham, Massachusetts, on June 12.